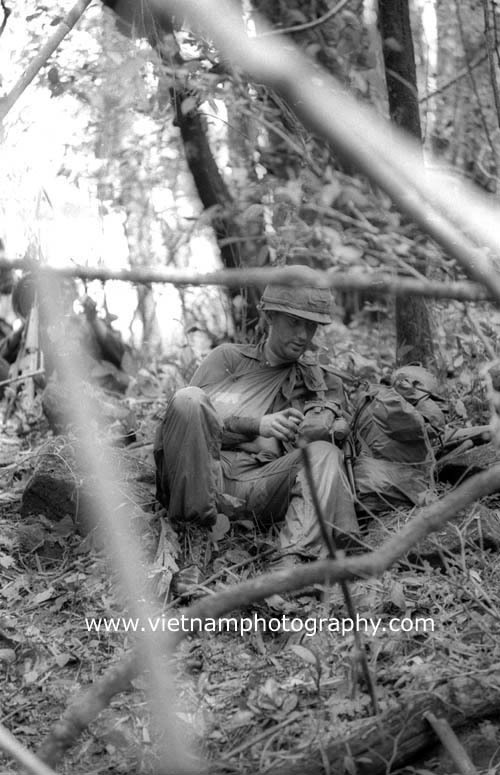 An older sergeant, fatigued from a run across open field, ignored advice to stay down because of snipers and was shot in head. Here he lies on a paddy dike moments after he was hit. 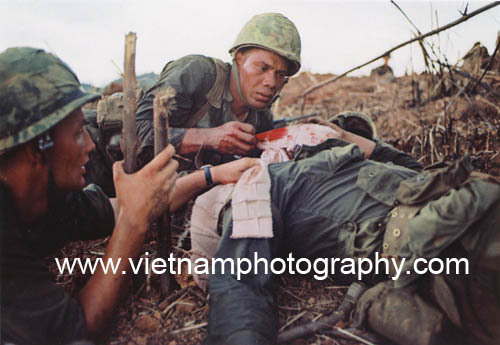 The civilian photographer who took the photo, Robert Hodierne, did the first aid work. 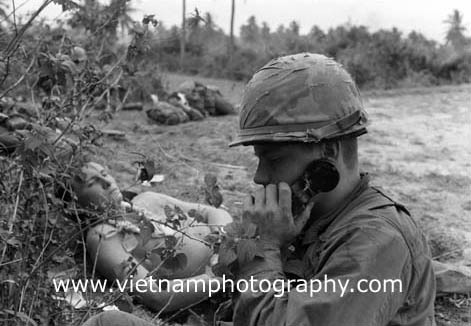 An officer of the 1st Cavalry Division calls for a Medevac helicopter for two wounded by sniper fire in the Central lowlands of Vietnam. 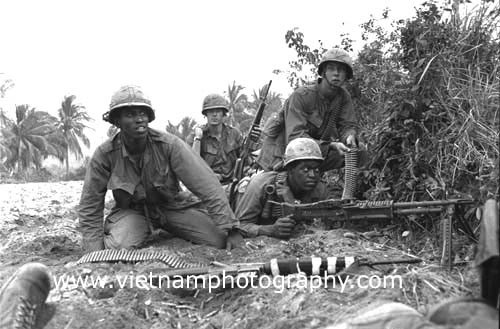 Troopers with the 1st Cavalry Division return fire with an M-60 machine gun during a firefight in the central lowlands of Vietnam. C Co., 1st Battalion, 8th Cavalry Regiment, 1st Cavalry Division, approached the village of Lieu An on the Bong Son plain during Operation Pershing. 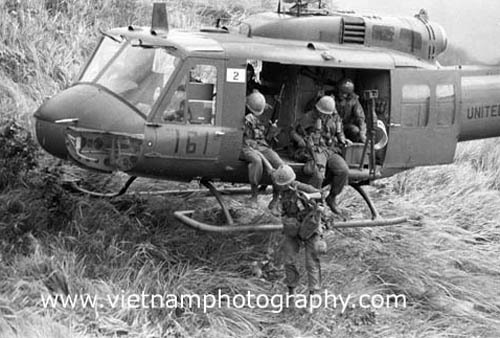 The night before they had been in a firefight at the village. 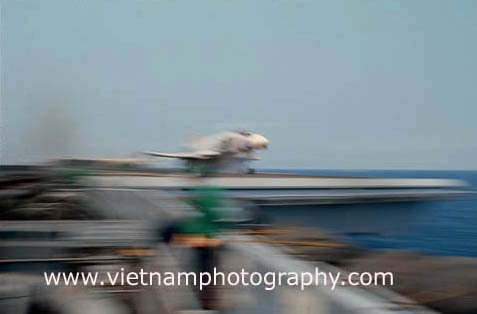 As they approached in the morning they tripped mines. Three soldiers were wounded and one was killed. 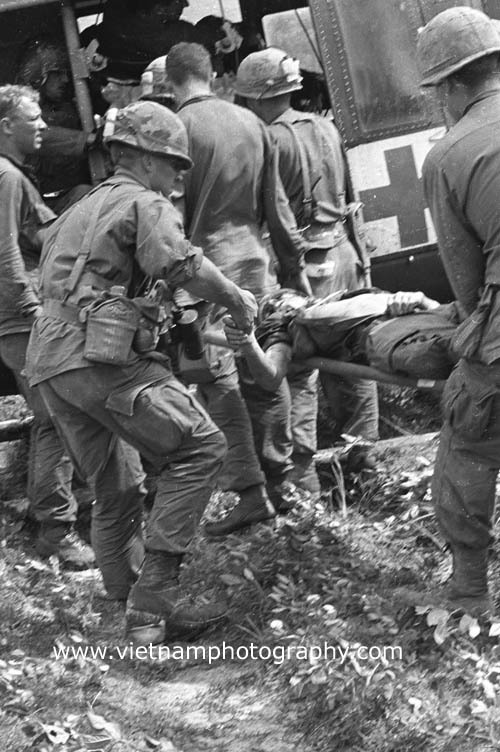 Here the dead soldier is being loaded into Huey helicopter Medevac. C Co., 1st Battalion, 8th Cavalry Regiment, 1st Cavalry Division, approached the village of Lieu An the Bong Son plain during Operation Pershing. 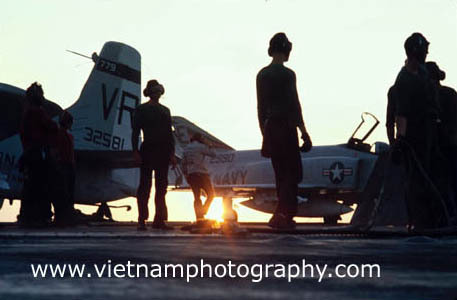 The night before they had been in a firefight at the village. As they approached in the morning they tripped mines. Three soldiers were wounded and one was killed. 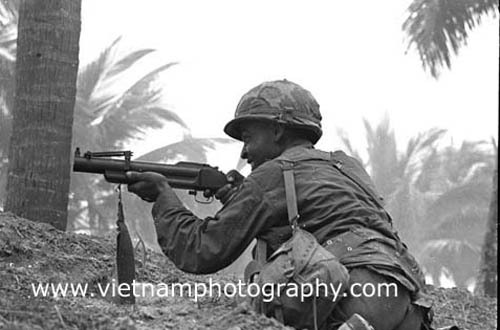 Here a soldier fires an M-79 grenade launcher into the village. 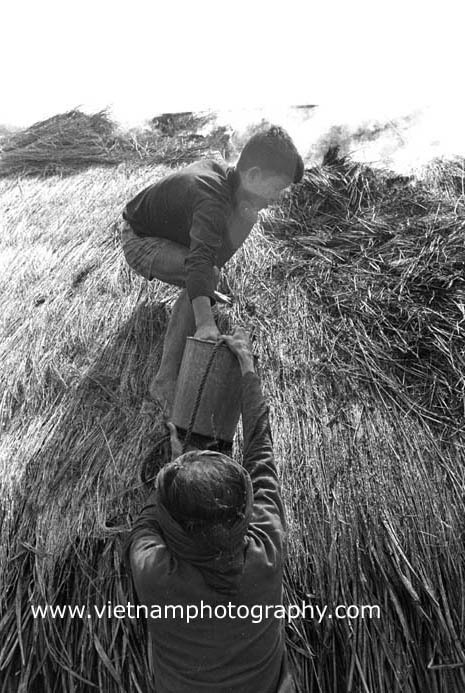 Nguyen Xuan Me on the burning thatch roof of a house is handed a bucket of water by an old woman. The house had been set afire by troopers from C Co., 1st Battalion, 8th Cavalry Regiment, 1st Cavalry Division. The soldiers set fire to the village of Lieu An on the Bong Son plain during Operation Pershing. The night before the soldiers had been in a firefight at the village. 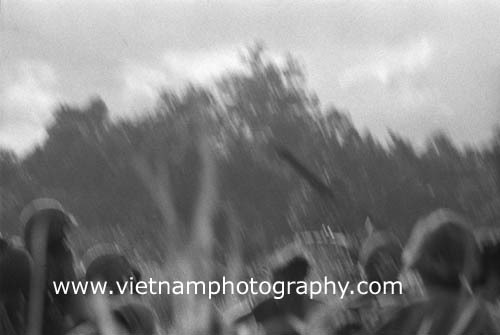 As the soldiers approached in the morning they tripped mines. Three soldiers were wounded and one was killed. 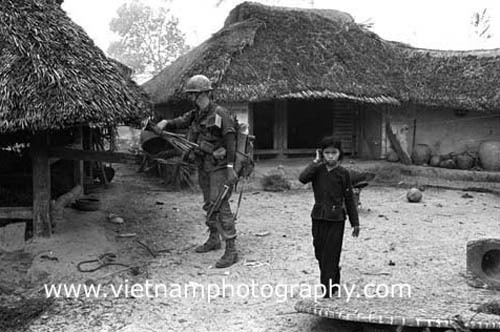 Nguyen Thi Thanh walks aways as a trooper from C Co., 1st Battalion, 8th Cavalry Regiment, 1st Cavalry Division, sets fire to her home in a village on the Bong Son plain during Operation Pershing. The night before the soldiers had been in a firefight at the village. 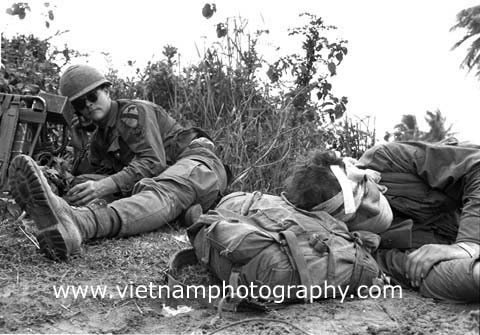 As the soldiers approached in the morning they tripped mines. Three soldiers were wounded and one was killed. 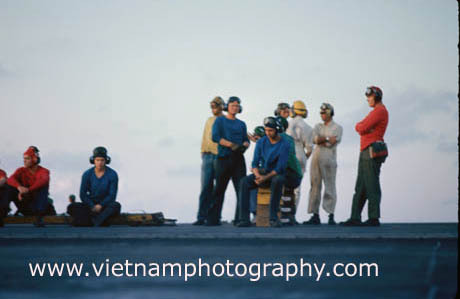 Aircraft carrier flight deck crews on the aircraft carrier USS Coral Sea prepare planes for attacks against North Vietnam from the South China Sea in 1966. 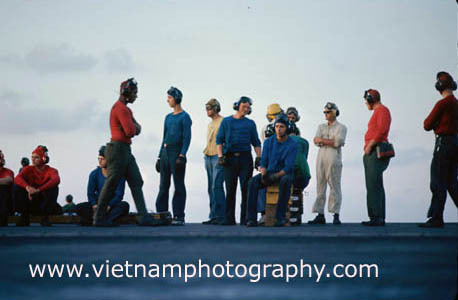 Aircraft carrier flight deck crews on the aircraft carrier USS Coral Sea prepare planes for attacks against North Vietnam from the South China Sea in 1966. 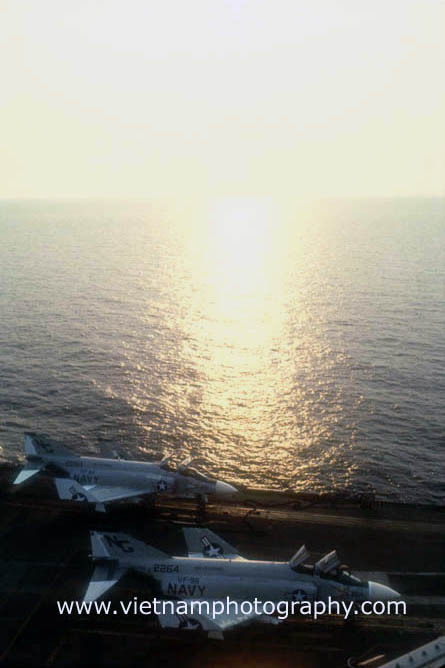 An F-4 Phantom jet is in the background. 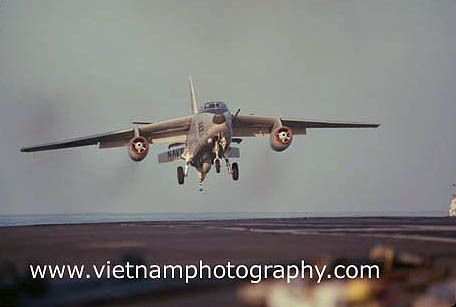 An A-3B lands on the aircraft carrier USS Coral Sea. 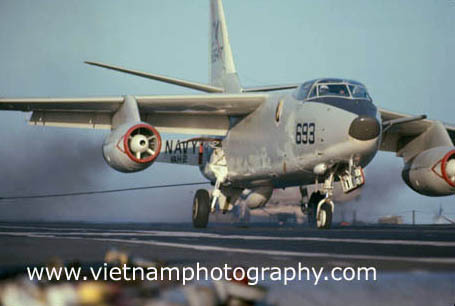 This multi-purpose aircraft could be used as a bomber or a tanker. 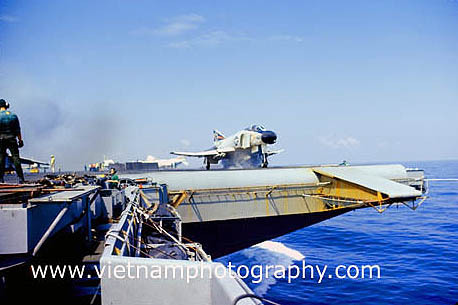 Here it is returning from a mission as an air-to-air refueling tanker.